Alachua is an Indian word meaning “sink” depicting the layout of the land. 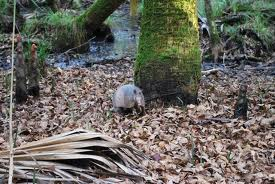 Nestled beneath huge live oaks, magnolias, cedar and hickory trees, the town of Alachua is steeped in Florida history. 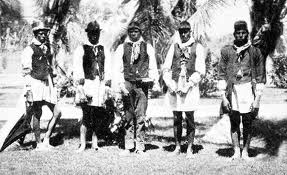 In the early 1800`s Alachua County was a wild land inhabited and controlled by the Seminole Indians. Indian raids were common in the area. In 1818, a settlement was established in the area known as Newnansville. Early in 1826, a post office was established, roads were built, stores were set up and a settled land began to emerge. A land grant office just east of the present site of the City was built and offered early settlers land, provided they promised to live on the land, farm and keep it safe. This area was located about a mile northeast of present day Alachua. The Territorial Legislature named the area “Newnansville” in honor of a Patriot War hero, Daniel Newnan and officially made it the Alachua County seat. Alachua was one of the largest counties in the state at this time. Eventually, Newnansville became a commercial center for an area that was beginning to grow as a large number of the refugee settlers stayed and others moved in. In 1857, Newnansville and the surrounding area was the most thickly populated section of Alachua County and more than one third of the voters lived in Newnansville. 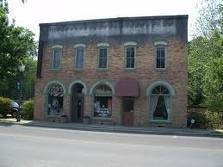 Newnansville was so much in the main stream it served as the Alachua County seat until 1854 when a railroad was constructed from Fernandina to Cedar Key. The railroad bypassed the town to the east. So, to be nearer the railroad the U.S. Land Office located there and the Alachua County seat was moved to the new railroad town of Gainesville. In 1884, when the Savannah, Florida and Western Railroad bypassed Newnansville about a mile to the south, the settlers moved their businesses and a new town, Alachua, began as a shipping point. Newnansville slowly became a town of the past as it gave way to this new town. “Several fine houses are already completed and others are being erected. Mr. Williams will soon remove his stock of merchandise from Newnansville to his new town,”. Mr. Williams didn`t actually succeed in getting a post office until April 30, 1887. A hotel, livery stable, and several other stores opened. A few homes were already occupied. A grist mill and lumber mill were being erected. The Advocate reporter wrote: “Alachua will swallow up the trade of Newnansville.” The prediction came true, although one man continued to operate a store in Newnansville until his death in the 1930’s. On April 12th, 1905 the City of Alachua was officially incorporated and had a population of 526. 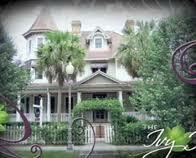 By 1912 it had three hotels: the Sheffield Hotel; Transient House; and a second Transient House. In 1914 Alachua had two banks, three hotels, a number of stores ranging from a fruit stand to a large, well-stocked department store, ice plant, electric light plant, waterworks, two cotton gins, two grist mills and bottling works. The electric light and waterworks plant began operating in 1913. 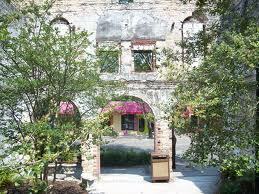 Many of these buildings are evident when you stroll down Alachua’s Main Street in the Historic District. 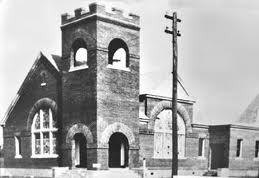 By 1915, the new township of Alachua had constructed two church buildings, Baptist and Methodist. The local Presbyterians held their own services in the Baptist church. The school building stood on the hill “to the northeast of town.” At first, there were seven teachers. The school`s first graduating class, two boys and a girl, were to graduate in May. The schools grew and in 1924, the Alachua High School Basketball team upset the sports world with a victory in the state tournament over Duval High of Jacksonville. In nearby Gainesville people were becoming aware that the Florida Gators were being supported by a state-wide audience. By 1925 Alachua had a population of 1,100. It still had two banks and its own utilities but all three churches now had their own building. There was now a telephone connection to the outside world! AND SATURDAY WAS THE BUSIEST TIME OF THE WEEK. Local farmers from miles around would come to town with their families to buy groceries, plough lines, bridles, nails, buckets, cloth, shoes, and any other household needs. Early in the morning the wagons would start lining up with the mules pulling into shady places where they were parked for the day. Most of them behind stores or out in the vacant lots behind Fisher`s Hotel (where the famous Ma Barker once spent the night with her boys). Everybody came dressed up in clean overalls and starched and ironed dresses, including the children. 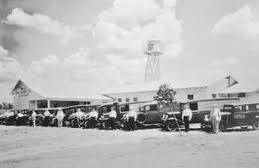 They`d spend some of the time standing around in front of the Post Office, Mr. Hasting or Mr. Fugate`s grocery store or Dale`s or Joiner`s Drug Store, where they`d buy liniment, Grover`s chill tonic, 666 tablets and ice cream cones. Most of the families brought their own shelled corn to Mr. Petitt to be ground into meal and grits. He`d do the grinding for half the corn so there was no exchange of money. The store windows had prices painted on them with white watery chalk. Inside the stores, rice, beans and sugar were scooped up out of barrels into brown paper bags and tied with white string that came down through a hook in the ceiling and up through a hole in the counter. White bacon and cured meat along with beef and pork that was recently butchered, hung behind the counter, and Mr. Hastings would cut off a pound or two at a time with the same knife he used to cut the yellow wedges of cheese. Canned goods were stacked in rows and people would wait in line for a clerk to take their order. They would fill up their kerosene cans for their lamps and put a raw potato back in the spout. 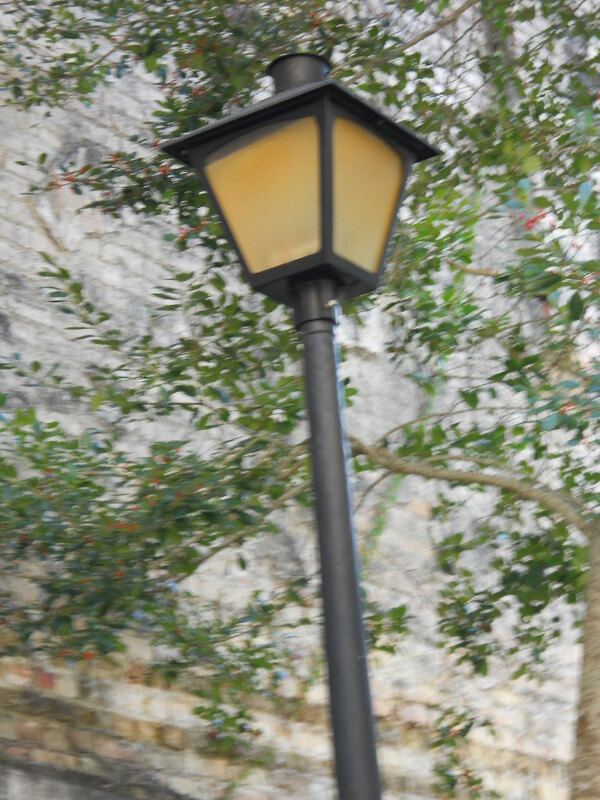 Farmers would bring eggs to sell and each would be held over a light bulb to determine if it was good. IN THE AFTERNOON VISITING WOULD BEGIN AGAIN AND THE STREETS WOULD BE SO CROWDED NO ONE COULD MOVE AROUND TOO MUCH. After a few hours of this, they would begin to load up and the children would be packed in between sacks of flour and meal and other good things. One by one they would pull out and drive slowly home in time to feed the livestock before dark. Some of the men who had been working in the stores all day would go to Mr. Stoke`s little barber shop down by Mr. Eddy`s hardware store or to Willie Cauthen`s bigger barber shop by Charlie Smith`s dry cleaners. They`d sit for hours on the benches covered with green oil cloth until it was their turn for a haircut, shave and sometimes a bath in the large tub in the back of the shop. They`d come out in a puff of steam and always smell like Palmolive soap and show up at church the next day smelling like a combination of soap, Mennen`s shaving lotion and Three Roses talcum powder. One of the popular sites on Sunday afternoon`s was Burnett`s Lake, which got its name from a Mayor of Gainesville, Samuel W. Burnett. The wagons didn`t stop suddenly, but rather dwindled to a trickle and were gradually replaced by the Model T Ford. The farmers still came to town to buy supplies but now most of them drove a Model T pick-up. Later, the Model T was replaced by the Model A. In 1932 everyone went to Enneis Motor Company to see the brand new Ford with the new V8 engine, the rumoured choice for bootleggers. As the thirties came so did adversity. Banks began to fail and long lines formed. When some banks and weren`t able to produce the money people had in checking and savings accounts, they closed their doors, leaving people in financial disarray. However, some banks withstood the runs and The First National Bank of Alachua was one of them. People coming out of the bank were asked how much money remained in the bank. They are assured that there was plenty left which helped return the confidence of those who had withdrawn their funds. Many folks turned around and re-deposited their money. Watermelons were being grown in increasing number and fresh corn, cucumbers, beans, and squash were being shipped to northern markets. Demonstrators from North Carolina showed people how to grow tobacco. Tobacco barns and packing sheds then began to replace cotton gins. In 1928, Copeland Sausage Company had opened its doors. 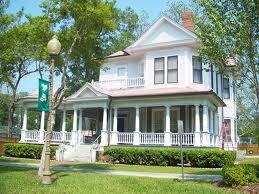 It was first built near the present day Alachua Recreation Center. However, since they were not allowed to kill the hogs inside the city limits, they would kill the hogs across the street (which was not in the city limits at the time). When they built the new plant, they built it outside the city limits. Although the Depression hurt everyone, there always seemed to be enough to eat and the farmers brought produce into town and shared with those less fortunate. According to one article, you could always tell who had a good year in cucumbers or tobacco. In the fall of the year there were peanut boils and cane grindings. Neighbors in this community still integrated their work and play. They came together to butcher hogs, make syrup, or raise a house or church. Births, deaths and marriages were told through word of mouth. The City of Alachua survived and continued to grow. In 1950 the population was 1,116 and by 1960 it had grown to a population of 1,974. In 1970, the U.S. Census listed it at 2,252, by 1990 it was 4,529, and by 2000 the population was over 7,000. Although the packing sheds have disappeared from town, area farmers still plant crops of beans, corn, squash, peppers and cucumbers. In this small community, local folks still spread the news of births, marriages, and deaths by word of mouth. Families still watch out for each other`s children. Neighbors still come to each other`s aid in the time of need and farmers still come to town on Saturday. 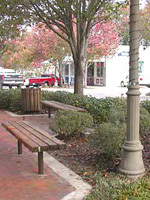 Now they stop at the Hitchcock’s Market or Food Lion, and you can find them sitting on benches along Main Street, and gathered in the local stores and restaurants – and even smack dab in the middle of Main Street – for a chat. And the US Post Office is still the best source for local news and gossip! Copyright Visit Alachua. All Rights Reserved.